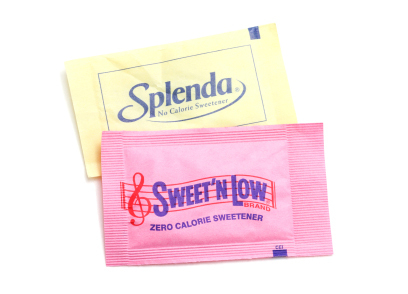 Q. I've heard that artificial sweeteners increase the risk of developing insulin resistance. Is that true? Are some types worse than others? A. You've asked a question scientists are still working to answer. Studies of artificial sweeteners are mixed, with some indicating that people using them eat fewer calories and lose weight or maintain a stable weight. However, in a few studies, artificial sweeteners were associated with weight gain, which might increase the risk of developing insulin resistance—a condition in which body cells do not respond properly to insulin and thus cannot easily absorb glucose from the blood-stream.